Savor your morning coffee on your large deck or next to big windows overlooking your spacious backyard. 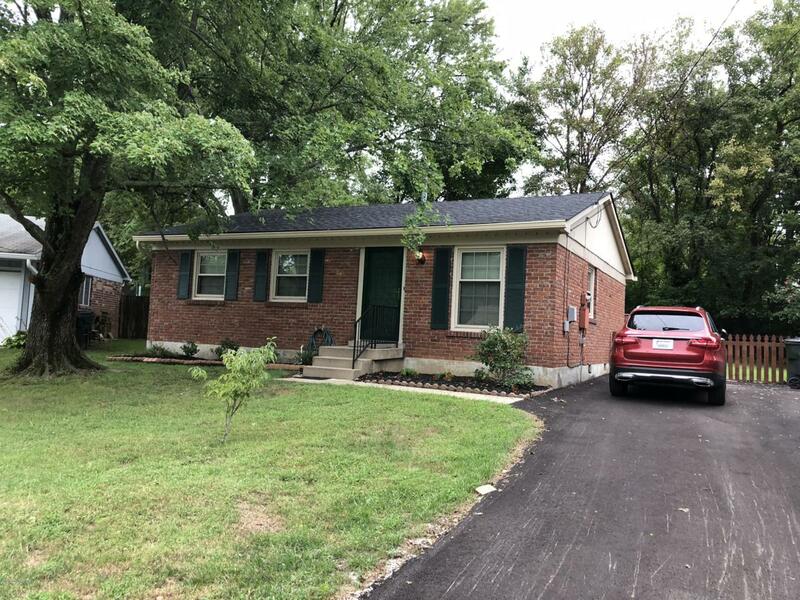 Enjoy a quiet cul-de-sac in a desirable Jeffersontown location-close to everything, while away from the hustle and bustle. Appreciate special touches like cedar-lined closets and real hardwood floors. This fantastic home is waiting for you! This brick ranch home boasts 3 bedrooms, 1.5 baths, a spacious eat-in kitchen, family room, and large living room. The replacement windows covered with brand-new blinds, the heating and air are 3 yrs old. The house is covered with a four year old roof and the driveway has new asphalt. The large full bath has been completely updated. The large backyard is fully fenced in and includes a shed. Freshly painted, this home is immaculate and ready to moveinto.